To introduce boron (B) into the Sn–1.0Ag–0.5Cu (SAC105) solder, based on the thermodynamic calculations, iron (Fe) is a competent carrier component for bonding B and Sn. The Sn–Fe–B master alloys were prepared by mechanical alloying initially; then, the SAC105-0.05(Fe–B) and SAC105-0.1(Fe–B) solder alloys were prepared using 72-h-milling Sn–Fe–B master alloys. The preparation process and the properties of solders were studied in this work. For the Sn–Fe–B master alloys, the results show that with the increase in the ball-milling time, the powder changes illustrate a cold welding–crushing–cold welding cyclic process. Moreover, the supersaturated solid solubility of (Fe–B) increases gradually in the alloys’ matrix and the lattice distortion increases to 0.167% after 72-h milling. Meanwhile, the alloying degree is increasingly apparent, and after 72-h milling, the content of B in the Sn matrix reaches 2.38 wt%. For the solder alloys, with the (Fe–B) content increasing, the melting point decreases and a significant grain refinement occurs in the matrix. Compared to the benchmark SAC105, the hardness of SAC105-0.05(Fe–B) and SAC105-0.1(Fe–B) solder alloys prepared by this method is improved by 20.65% and 34.79%, respectively. 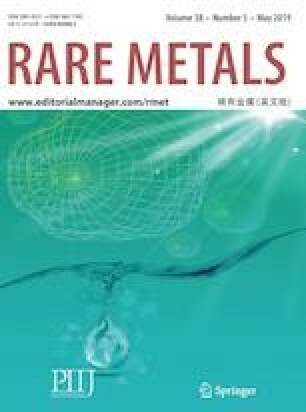 The present research provides a novel approach for introducing the immiscible component into the lead-free solder alloys. This study was financially supported by the National Key R&D Program of China (No. 2017YFB0305703).